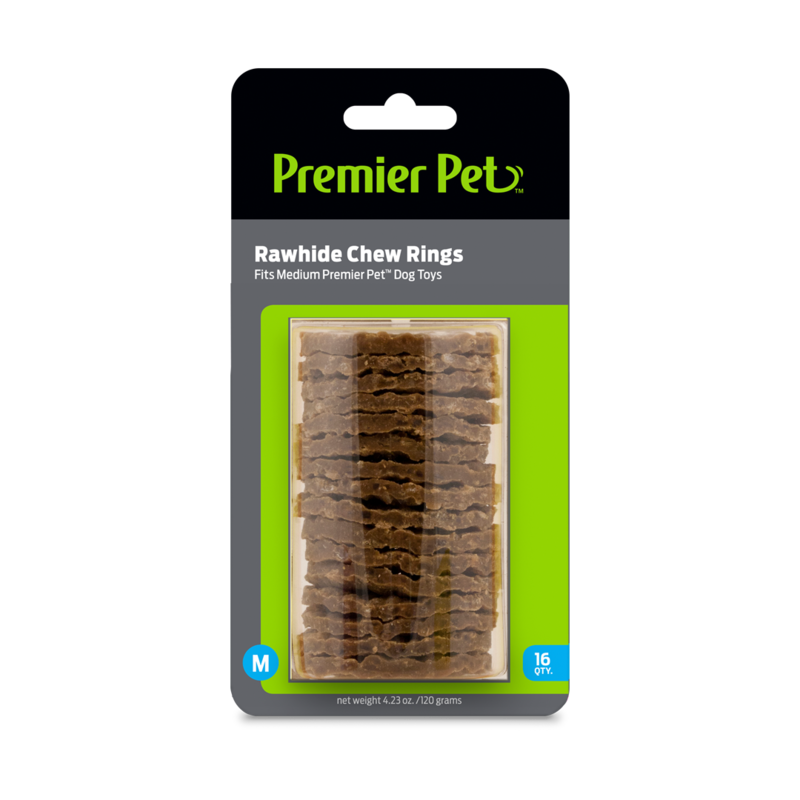 The Premier Pet™ Rawhide Chew Ring Refills provide 16 replacement treats for your Premier Pet Ring Holding Toys. Simply remove the chew rings you need from the package and secure them to the toy. 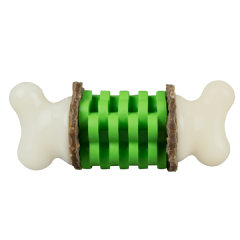 Once added, your dog will stay engaged and boredom free while trying to chew the rings off. 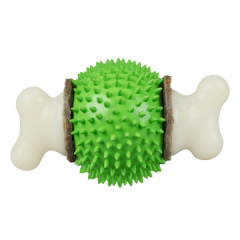 Fits medium sized toy best for dogs 10-50 lb.